Bring the benefits of leaves to your everyday! 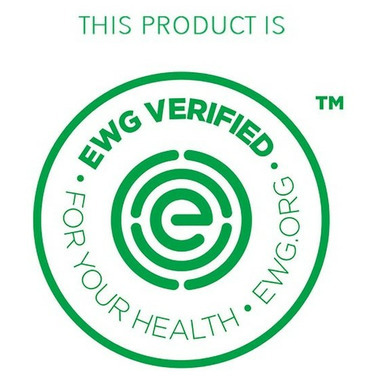 Watercress and Indian cress super leaves are known for their regenerative abilities and for being high in minerals, vitamins and growth factors. 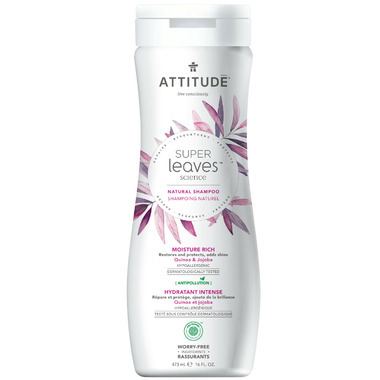 These powerful elements are extracted and used in ATTITUDE Super Leaves shampoo and conditioner formulas to help strengthen and revitalize hair, promoting the production and structural support of keratin from root to tip. Ideal for dry, dull and brittle hair, ATTITUDE's Moisture Rich Shampoo and Conditioner are enriched with quinoa and jojoba proteins to help nourish, hydrate, repair and protect hair. Full of antioxidants that restores and protectes to make your hair shine! Love this shampoo..I use it everyday. Leaves hair soft and clean. Not that good as my expectation. The hair not so clean after washing. A lot dandruff found. So dispointed. Unlike most "green" shampoos, this one actually cleans my hair, and leaves it super silky and smooth. My new favourite shampoo! I love this product. I have curly hair but over the years it has gotten less curly. Its has been hard to find a product that can bring my curls back. Well this product is doing that. I love how silky my hair feels. Really nice rich-feeling shampoo, and it smells great -- a bit like almonds. Seems to moisturize my hair pretty well (for a shampoo). Love it. Excellent lather. Leavings my hair very clean and soft. Smells great. Noticeable difference in the health of my hair since switching to all natural hair products, such as Attitude. Very nice shampoo. Like that it's natural. Makes hair soft and shiny. A little expensive though. I'm so happy with this product, from the packaging, to the ingredients to how it works on my hair. It's just so lovely. Mild, pleasant scent. Washes well, even when I've waited too long between washes. I got the conditioner too and am equally impressed with it. I love this shampoo, it feels as though it still cleans your hair well, even with all natural ingredients! I love the mild scent, which is not irritating at all, but enough to smell clean. My new go to shampoo. Love this shampoo. Smells really nice and cleans hair well. Will buy again.